“Dear Montgomery Burns: Just checking in to see if you looked at the proposal yet? Thanks, John Doe” Does this email sound all too familiar? The vague check-in that lacks personality and direction? Following up with customers is an important step in the sales process. Loosely 'checking in' with them at random and without purpose, however, can land your email in the trash, never to be opened. Here are some tips on how to follow up with customers and turn your next check-in into a closed deal. Connecting with prospects can sometimes be a challenge. You’ve qualified them, you’ve shown them the value you can deliver, and now it’s a game of cat and mouse as you wait to hear back on whether or not they want to sign on the dotted line. Following up with customers and prospects shows that you’re invested in their success and that you truly believe they are a good fit for your product or service. It's a great reminder to customers that you’re there for them, and keeps you top-of-mind should any competitors come knocking. In a study done by TOPO, it takes 18 calls to connect with a buyer, while only 23.9% of sales emails are opened. It also costs seven times more to get a new client than it does to sell to an existing one. It goes without saying, but connecting with prospects to close a deal can be tedious. To stay ahead of the game, you not only need to follow up, you need to be persistent. Avoid following up haphazardly on whatever day of the week. 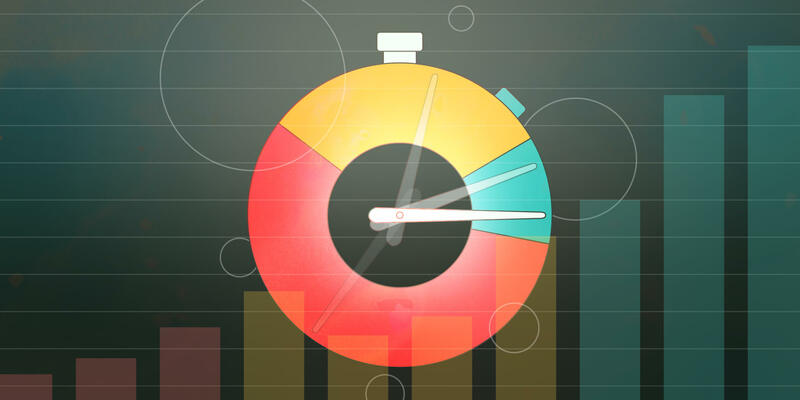 Just like the content of your proposal email, you want the timing to be strategic. The last time you walked into a bank to make a transaction with a teller, chances are you left, went on with your day, then received a call a few hours later from their customer service agents asking you to take part in a ‘short’ survey about your experience. Sure, these calls can be annoying, but their timing is on-point. You’re more likely to take the call hours after your experience than you are days or weeks afterwards. After a meeting, demonstration, or conference, follow up within 24 hours. This is a professional way to demonstrate your appreciation for someone’s time, and for the opportunity to speak with them. It also demonstrates your interest in staying connected in the future. 1) It lets the prospect know that you’re still available to meet and that you’re eager to share how you can solve their pain points for them. 2) It reminds the prospect of the meeting. People get busy, and things can easily pop up and take priority, so confirming the meeting is still on will save you time in the long run. Three months is a great amount of time between qualifying a prospect and reconnecting with them to see where they currently stand. It’s also the perfect amount of time to check in with current customers to see if their needs have changed and address how you can meet those needs. To save time, and to ensure you don’t miss the prime window of opportunity to follow up with potentially lucrative clients, set up an automated email drip campaign for three-month follow-ups with prospects and clients, respectively. When your prospect gets back in the office after the weekend, they’re likely checking their email first, then tackling any major tasks that need to be finished from the previous week or have to be started that week. Similarly, on Fridays decision makers are focused on finishing up any to-dos left on their plate before heading home. Though following up is important, it’s likely not a priority for your client on these days, so leave your emails for mid-week. The timing of your follow up with customers is important. Your goal should be to optimize the click-through rate of your follow-up email – something largely affected by when you hit send, and how busy your customer is. If you’re strategic in what you say and when you say it, your chances of hearing back increases significantly. There are tons of different ways to follow up with customers, and a variety of reasons for doing it. Maybe you just had a positive meeting with a prospect. Maybe you connected with a prospect weeks ago and agreed to move things forward, but they have since fallen off the face of the earth. Whatever the reason, here are some tips on how to follow up and what to say. Ask anyone in business, and I’m sure they’ll agree that by the end of one day their email inbox looks like a tsunami hit it; flooded with emails from colleagues, cold emails that somehow made it through the spam filter, and messages flagged to read later. If you want to avoid getting lost in the chaos of your client’s inbox, you need to make your subject line pop. An eye-catching subject line will entice your reader to open the email faster. In fact, 33% of email recipients open email based on subject line alone, so choose your words wisely. These are all vague and sound like the generic subject lines associated with spam emails. Do you find writing [pain point you can solve] challenging? Any questions about [specific thing in the proposal you sent]? 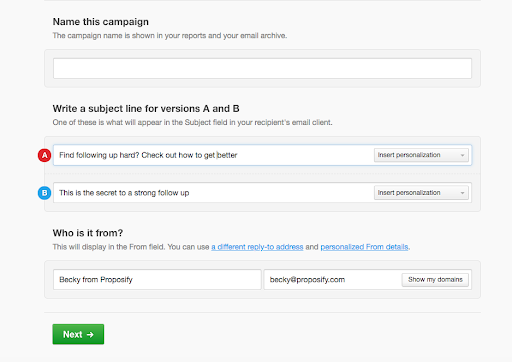 To ensure you’re sending out an email with a subject line that’s guaranteed to draw attention, try A/B testing two versions through an automated email tool like Campaign Monitor or MailChimp. Using a tool like this will also allow you to track the click-through rates of your emails, and help you understand where you can make changes to your follow up process. It can be a friendly way to open your email, and it may sound like it’s direct enough, but telling your customer you’re “just checking in” or “touching base” implies that it’s all you want to do. It says to the customer that you’re not asking them for feedback, or looking to set up a meeting. “Checking in” and “touching base” are ineffective, overused terms and are a quick way to land your email in the trash or be forgotten because it doesn’t have authority or importance. To write an effective follow-up, you need to explain what you’re looking to accomplish. Be clear and concise. Instead of using vague terms, open your email confidently, explain your purpose for the email, and ask questions. You’re more likely to get a reply if the customer can see you’re seeking an answer from them. As I mentioned earlier, a vague “checking in” email will never get you the answers you want, when you want them. If your clients read it (and that’s a big IF), it will likely comes across as important as the teacher’s voice in Charlie Brown – “Wah, wah, wahwa, waaaaa.” – unnecessary. Avoid wasting your time writing emails that get you nowhere by stating the objective of your email clearly, and upfront. Are you looking for more information to complete a project for your customer? Are you requesting a meeting? Maybe you’re looking to reconnect with a client, or simply want to say thank you. Whatever your reason for “checking in,” say it loud and proud. Can we meet at [this time] to chat about [subject]? Before we can complete [section of project], we need [information/approval]. Are you available [date/time] to review the progress so far? All of these options clearly state the purpose of your email and encourage your client to respond by confirming a date, or send the information you’re looking for. Whether you’ve had one conversation with a customer or 15, personalize your follow-up. Remind your customer of the last conversation you had, what was discussed, and what was mentioned that has you eager to move forward. If a lead that isn’t as warm as you’d like, personalize the follow-up email by highlighting some of the pain points they mentioned in your first conversation, and explain how you can address them. 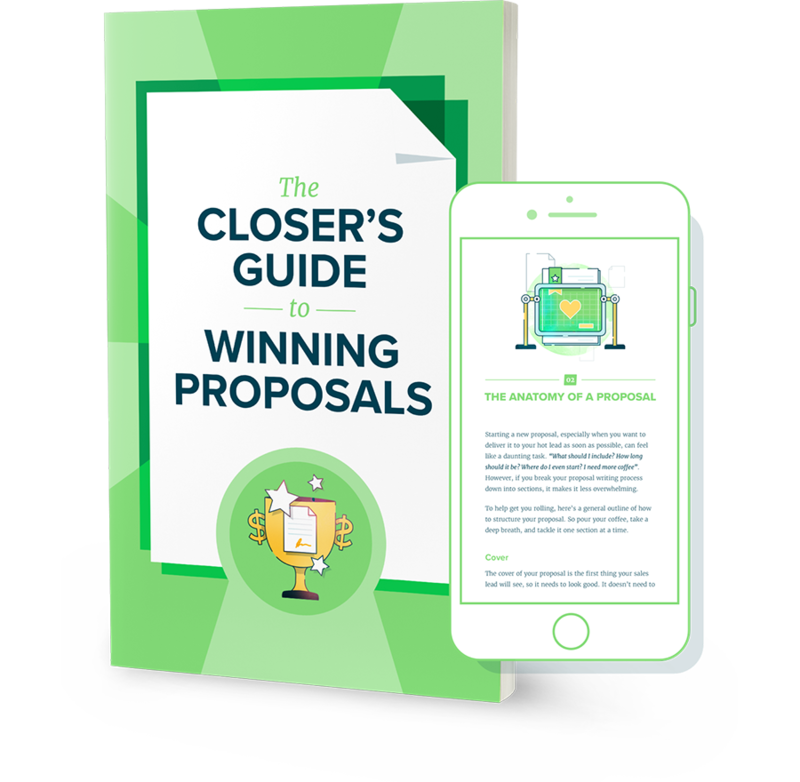 Last we spoke, you mentioned you were about to ramp up your marketing activity to drive more proposal-worthy leads. How is that going? After our last conversation, I sent over a proposal with some information about what we do and the packages available. Have you given it any additional consideration? I thought now would be a good time to set up a meeting to discuss things further. 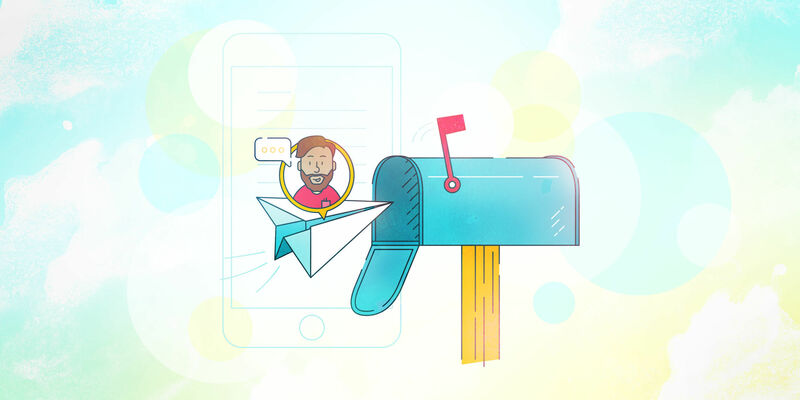 Personalizing your emails will give your customers a better experience, and provide them with insight of how your future interactions may go, should they decide to work with you. If you’re not sure where to start with a personalized email, try personalizing a script first, then add more of ‘you’ into it. No one has ever gotten anywhere fast by beating around the bush. It’s one of the reasons customers don’t reply to vague “just touching base” emails; there is no definitive reason for the email, so why should they reply? Once you’ve stated your reason for emailing (looking to set a meeting, need more information to complete a project, etc. ), ask your customer, directly, what it is you’re looking for. My name is Becky Tucker, and I’m the Content Producer at Proposify. I’m currently working on adding new customer testimonials to our website and thought you might be interested after leaving such a positive review on GetApp. To get a more thorough understanding of how our product has helped you so far, I’d like to do a quick 10-minute interview with you. Being specific about why you’re emailing and what you’re looking for allows your customer to quickly see what you need, so they can respond accordingly. Your marketing team can provide you with lots of great material to help pique the interest of your prospects when you’re trying to close a deal. Including marketing collateral, like the ones listed below, helps your customer see the value you can provide, and give them insight into the success businesses like them have had working with you. Although a follow-up email to a lead you’ve already interacted with isn’t technically a cold email, it may still not be as hot as you’d like, so you need to continue being persuasive. It can be easy to convince yourself that after one or two strong conversations, your prospect is sure to close a deal with you, but nothing is certain until they actually sign on the dotted line. Following up can keep the deal alive until a final decision is made. OpenTable does a great job of the automated follow-up email by making it personal and timely. I recently made a reservation through OpenTable for a Mexican restaurant here in Halifax, Nova Scotia. After eating my weight in tacos, I was sent this follow-up from OpenTable asking how my meal was. It was sent automatically once my bill was paid, so the timing was great as my tummy was still basking in happiness, and the personal touch of including the name of the restaurant made the email feel warmer than your standard automated email. As a result, I was happy to provide a review and it increased my engagement with both OpenTable and Antojos. No matter how eager or hesitant your customer sounds during your first conversation, make a point of scheduling a specific day to reconnect with them. Not only will this help you increase your sales productivity by automatically creating a reminder, it allows your customer to control which day works best for them, giving you a better opportunity to reach them when that date arrives. Setting a follow-up in advance also shows your client that you’re interested in maintaining a conversation. Remind them that you’re available to answer any questions or concerns they may have as they make their decision, but you’ll otherwise look forward to speaking again on the specific date set aside. So you continue to send follow-up sales emails and continue to get no response. Sometimes you can do everything right and STILL not hear back from your prospect. Don’t take it personally. There could be a multitude of reasons why they’re not getting back to you. Maybe they weren’t qualified leads in the first place. Maybe they just weren’t ready and got cold feet. You may never know their reason for not responding to your follow-up email, so you need to decide for yourself when enough is enough. Set yourself a number of follow-up emails or calls you’re willing to make, and stick to it. If the lead is interested in the future, they’ll find their way back, but there is no point in you wasting precious hours trying to connect with a dead sales lead.